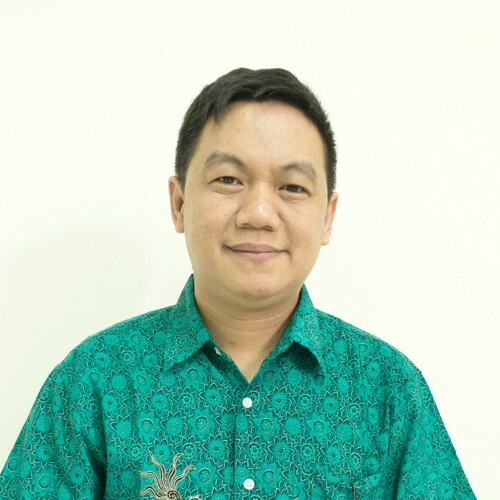 Andreas Widjaja has a motto: “Success = 0.02% Talent + 99.98% Hard Work, as derived from Einstein and Edison quotes.” He has a passion for teaching, as his extensive 20 years of teaching experience at various levels of education, ranging from high school, undergraduate to postgraduate level. After he finished his undergraduate at Institut Teknologi Bandung, he continued his study at Faculty of Mathematics and Natural Sciences, University of Groningen, the Netherlands, where he completed his M.Sc. followed by his PhD in 2007. Since that, he joined the Faculty of Information Technology of Maranatha Christian University until now. Dr. Widjaja has previous research in the field of physics, mathematical modeling and numerical computations, where he applied computational techniques to solve problems in physics, astronomy, quantum computing, materials science and engineering. His current research interests are including numerical algorithms and machine learning. Andreas Widjaja, Social Media and Community Well-being, Konferensi Nasional Community Well Being, Universitas Kristen Maranatha, September 2015. Andreas Widjaja, Erik Van der Giessen, Vikram S. Deshpande and Alan Needleman, On Contact and Size Effects in Discrete Dislocation Modelling of Wedge Indentation, Proceeding of Multiscale Materials Modelling 2006 Conference, Sep 18-22, 2006, Freiburg, Germany. Iratius Radiman, Chatief Kunjaya and Andreas Widjaja, Periodic Determination of the Annual Variation of Regressions of the Martian Polar Caps using the Methods of Artificial Neural Network, Jurnal Matematika & Sains, Vol. 4 Edisi Khusus No. 2, Jun 1999, Institut Teknologi Bandung. Iratius Radiman, Chatief Kunjaya and Andreas Widjaja, On the Periodical Nature of Annual Variation of the Regressions of the Martian Polar Caps Using the Phase Dispersion Minimization – (PDM) Method, Jurnal Matematika & Sains, Vol. 3 No. 2, Oct 1998, p69–78, Institut Teknologi Bandung.